Italian guipure embroidered lace in lurex. Hand crafted delicate sun bracelet. Wear alone or layered with other bracelets. Fittings are plated antique silver with lobster claw clasp. 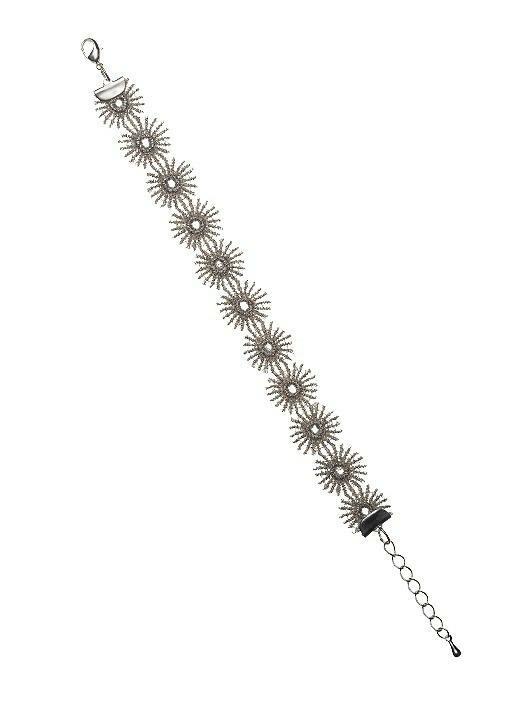 Dimensions: 1/2" W, adjustable length.